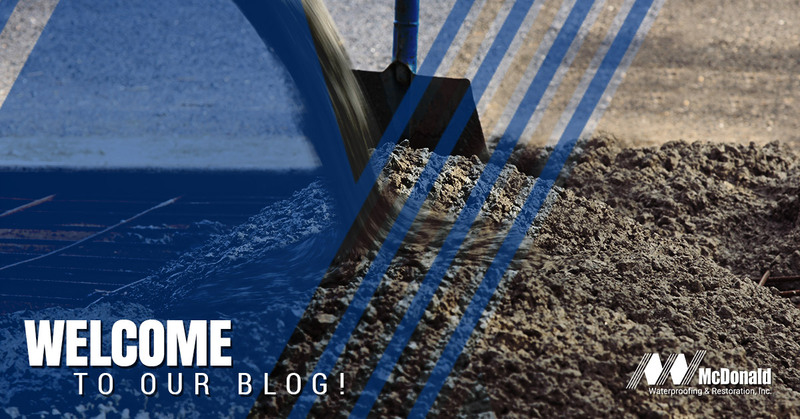 Concrete Contractor Denver: Welcome To Our Blog! Whether you’re a previous client or just came to our website for the first time, we want to welcome you to McDonald Waterproofing & Restoration! This blog will serve as education around concrete repair, concrete restoration services, and much more. In this initial post, we will provide more information about our company, the services we offer, and what sets us apart from the competition. McDonald Waterproofing & Restoration has earned recognition as one of Colorado’s top specialty repair contractors. Founded in 1999, we are locally owned and operated. Though we specialize in parking structure repair, our team can easily handle the majority of commercial concrete repairs and waterproofing dilemmas. Our concrete specialists work to deliver the best possible outcome in the most efficient manner. We don’t simply bandage the problem and leave it at that. Rather, we put in the work toward achieving long-term solutions to your concrete repair and restoration problems. The unfortunate reality is that many local companies cut corners and never get to the root of the issue. You don’t have to worry about that with our team. Rest assured that we understand the dynamics and conditions of concrete, apply the best technology, and have the experience to perform a job the right way. By investing in high-quality concrete services, clients save money over a temporary approach. Concrete strengthening – This technique involves the use of carbon fiber systems and engineered steel bracing. When it comes to challenging structural component repairs, we often turn to concrete strengthening. Concrete repair – Using polymer modified repair mortars, we can easily tackle partial and full depth replacement. We take the extra steps to ensure our projects not only look incredible but last for years to come. Concrete crack repair – McDonald Waterproofing & Restoration uses epoxy injection and urethane grout injection to solve this problem. Best of all, these proven techniques are non-invasive. Concrete protection – We can essentially add a coat of armor to your concrete surfaces with urethane and silicone caulking and epoxy, as well as urethane and methacrylate coatings. Structural sealant repairs – Make your leaking problems a thing of the past with structural waterproofing. These repairs include wet sealing window perimeters with silicone sealants. Horizontal waterproofing – Do you have leaking plaza decks, walkways, or planters? Horizontal waterproofing could be the answer. Post tension concrete – We can use post tensioning for repairs, modification, and strengthening of reinforced concrete and post-tensioned structures. McDonald & Restoration has the expertise to do the necessary repairs and bring the damaged slab black to full potential. We see communication as a cornerstone of our business. Our one-of-a-kind Daily Project E-report is a testament to that. Delivered electronically to clients, this report provides a project snapshot to everyone involved in the process. It’s particularly valuable for owners and managers who are remote from the project. Details consist of personnel information, ambient and surface temperatures, work completed, and upcoming tasks. We are proud to say we’re the only concrete contractor in the region who uses such a cutting edge system.